Konkani households of Udupi, Mangalore region make chickpea flour ladoos for Krishna Janmastami. They are an absolute delight to eat. Here's a recipe to make crunchy, crispy chakuli at home for Lord Ganesha. No pooja is complete without an offering to God according to the Hindu rituals. Panchakajjayas are a mixture of 5 ingredients served as naivedyam to the Lord. Here's how to use fresh bamboo and pickle fresh bamboo for year long's use. Here are the types of colocasia that we use in Konkani cooking. Pickled bamboos are nicely smashed and shallow fried in oil to make crispy bamboo fry. They are served as a side dish for lunch. Tastes great with curd rice. 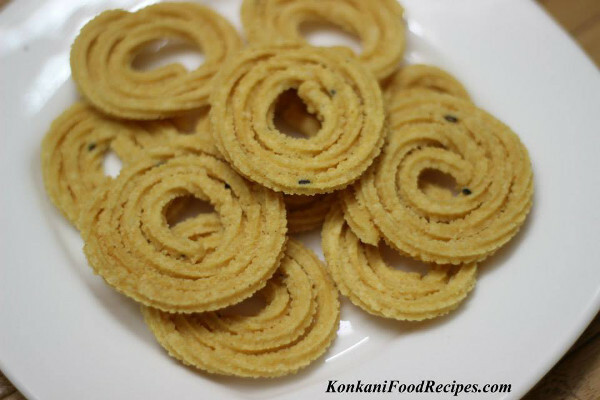 Sanna khotto are a Konkani delicacy. A rice batter is ground, it is then mixed with veggies like cabbage and onions, they are then steamed in jackfruit leaves. Pumpkin seeds are fried and had as a snack! They turn out crispy, crunchy on shallow frying and taste amazing with a distinct taste. Pumpkin idlis are an age old breakfast. A traditional, healthy breakfast. It flavourful, filling and delicious when had hot with a coconut chutney.